We awaken to a restful sight of quietly plush yachts streaming by the Victoria and Alfred waterfront across the The Table Bay Hotel. So far, Cape Town has been a mad whirlwind of treks across mountains, beaches, lush greenery and flea markets – all accomplished in our manic attempt to transport the raw exquisiteness of a spectacular landscape onto our fashion pages. At Camps Bay and Clifton Beach, known for its posh apartments and buzzing lounge bars, we shoot against icy winds as obsessive surfers swish by us along the capricious waters. The evening brings more cheer as we hop across Café Caprice and Salt restaurant (overlooking the ocean) at The Ambassador hotel for some well-deserved cocktails and canapés, mingling with the swish set in this elite area. 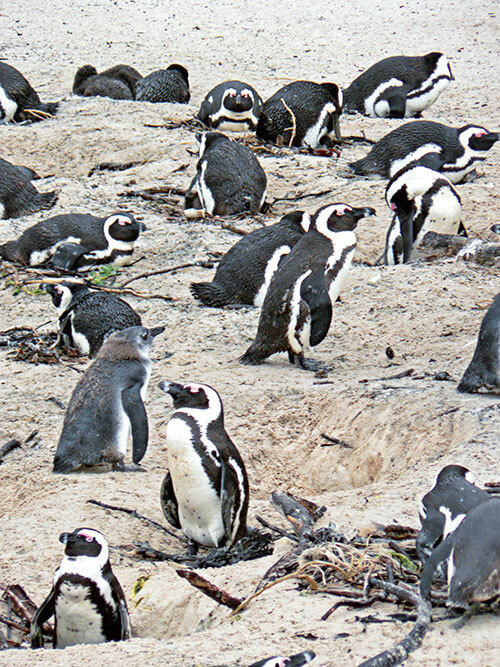 Boulders Beach is another spot that enthralls us; imagine a maritime habitat for 2500 resident penguins that look happy enough to be away from native Antarctica and you would be spellbound too. The quirky creatures stroll along the sandy stretch with supreme unconcern for the curious humans around them; these two-toned birds feed themselves and are only given a hand with cleaning and rehabilitation in the case of an oil slick. Our final day of shooting ends at Table Bay’s Atlantic restaurant with a specially prepared Indian feast of fried savouries, creamy black dal and delicious biryanis (the chef is happy to create a custom-made meal for finicky palates) along with the Enotica cellar’s fine South African wines. And today, the morning of our wake up call from sea gulls and moorhens gliding along the V&A waters, kick-starts our official travel itinerary for the remainder of our stay. History forms the crux of Cape Town. The oldest city in South Africa, this was the land where the first Dutch settlers established base and created a new race, the ‘coloured people’, through their intermingling with the black population. Ella Bauer, a delightful encyclopedia of interesting facts and also a spirited bundle of inexhaustible energy, is our guide and mentor from African Pride Tours. Never one to shy away from a challenge, she finds us forest shrubbery for a wilderness shot and a handy viewing of a homegrown zebra when our creative director expresses a wish to photograph the striped animal from close quarters. 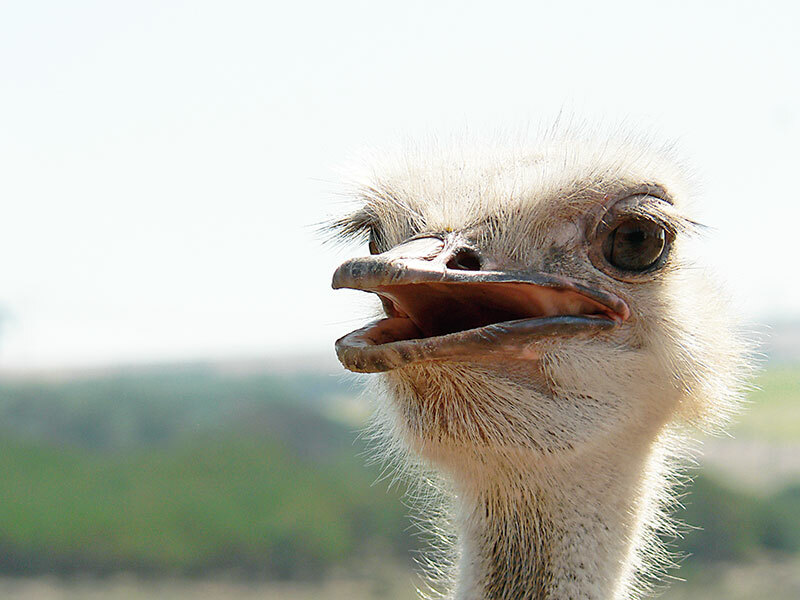 Hesitant to sample the ostrich-meat burger grilled for our lunch, we beat a hasty retreat into the Winelands area. 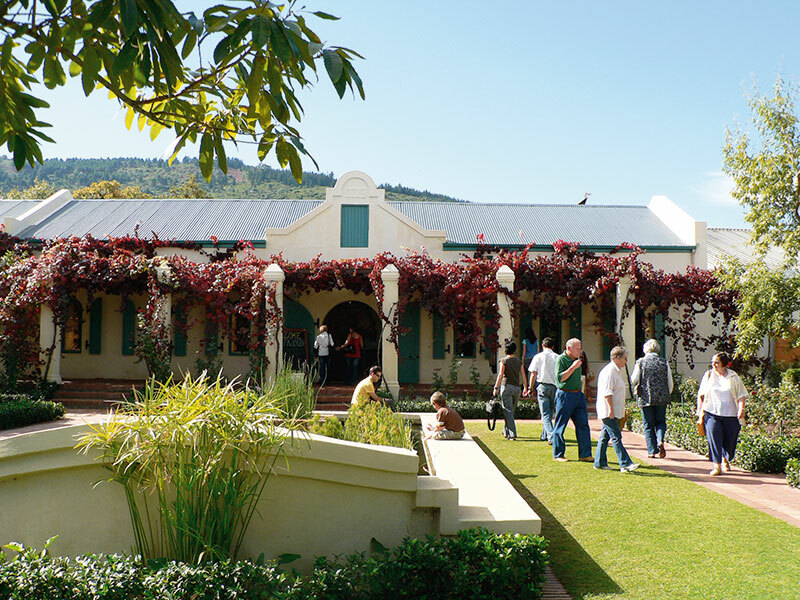 The Fairview estate is a calming stopover; known to be a complete unit that grows grapes, ferments and bottles the wines. The massive site also holds the distinction of being one of the most successful cheese producers of the country. A few rounds of wine tasting later, we pile our shopping baskets with South Africa’s finest whites and blush varieties, crusty loaves, brie, pickled olives and sweet chilli jams and leave to drive further on to Stellenbosch. The latter, along with Paarl and Franschhoek, form the breathtaking vista of the entire Cape Winelands. The French tourists in the 1600s made Cape Town a favourite vacationing destination and over the course of the years, taught Africans the subtle process of creating delectable vino. We stop briefly at Dorp Street, teeming with students who make up a large part of this university town. A few sinfully creamy peanut shakes later and we move on to the peaceful vale of Franschhoek. A single night is not enough to absorb the serene tapestry of this town; at least a couple of days are required for therapeutic soul-cleansing in these pure environs. Unfortunately, ours is not a life of leisure. We are up and about at an unearthly hour of five a.m. for our day at the Aquila Game Reserve, roughly a two hour drive from central Cape Town. Those pressed for time and unable to plan a full-fledged Kenyan safari tour can stir their senses with a whiff of the wild at this 4,500-hectare lodge. 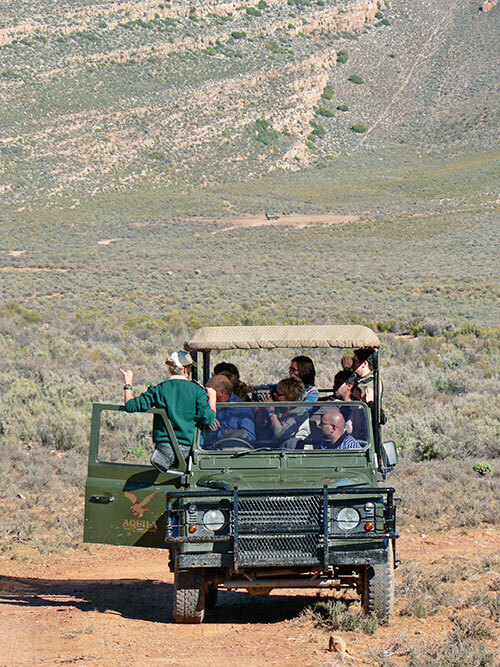 We opt for a day tour (the reserve provides room for those who prefer a longer stay) and head out in our designated jeep for a close encounter with doe-eyed giraffes, playful elephant twins, lazily indifferent lions and snorting rhinos. Keep a safe distance from hippos, who are known to be most dangerous to humans on land; run uphill to escape so that gravity can pull them down and consequently save you. And remember, the big five – lion, buffalo, rhino, leopard and elephant – are prone to attacking even after they have been wounded. These survival lessons learnt, we head to a secluded patch for our tête-á-tête with the cheetahs. Yes, we can actually squat down for a bout of petting with these ferocious cats – the only truly tamable feline. Don’t be afraid to revel in this experience, it is one of those magical lifetime moments to be savoured forever. 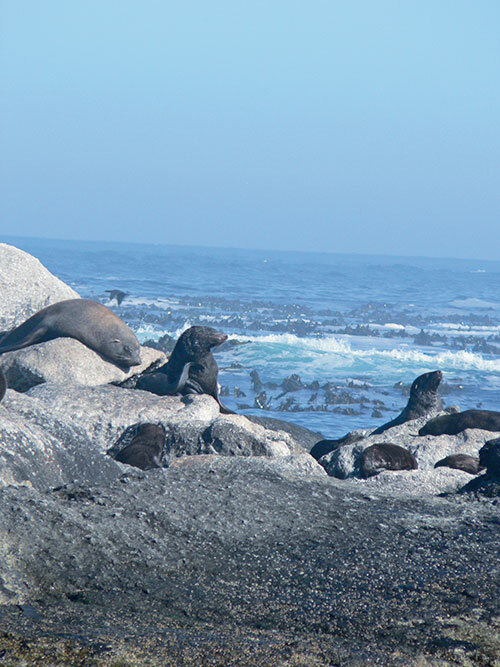 Mesmerised by our run-in with the animal kingdom, we return to Table Bay for a brief reprieve before another round of sights awe us into respectful silence. 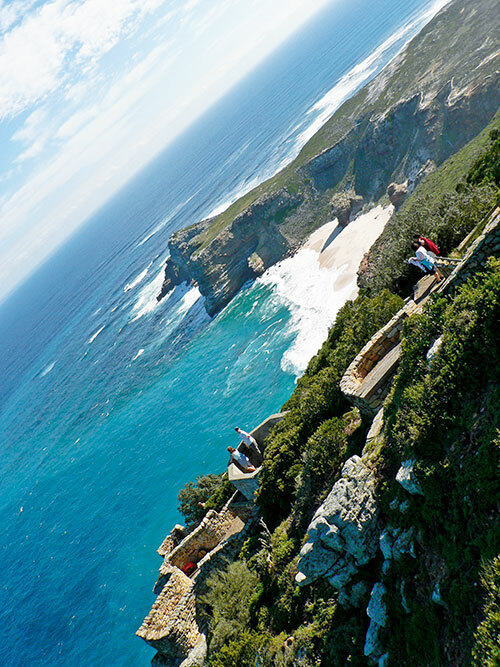 Cape Point does just that. This navy base was initially know as the Cape of Storms due to its unpredictable weather, and till date, the city’s people prefer the colder but wind protected waters of Camps Bay’s beaches. The view from these craggy tops is magnificent to say the least. We marvel at the meeting of the Indian and Atlantic oceans below while waves thrash about in unforgiving violence. 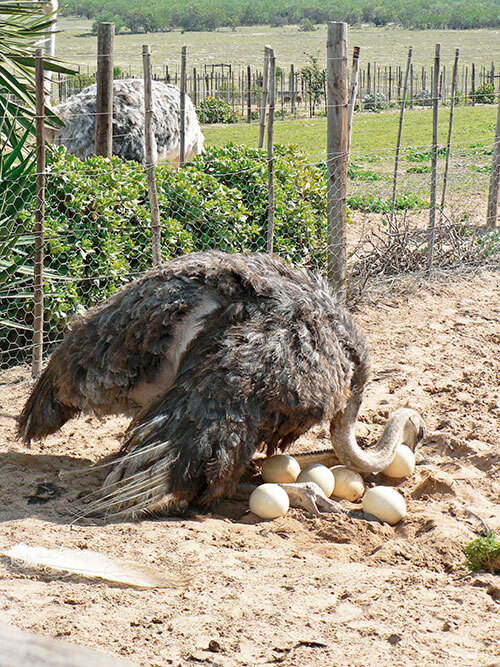 This, really, is nature at her fearsome best. A scenic ride past Chapman’s Peak and a quick bite at the edgily modern Extreme Hotel (where we examine each of the individually styled thematic washrooms and the lounge chairs equipped with full acoustics and televisions) and we come full circle. To Table Mountain, where our journey at the V&A began. Charismatic in its appeal, the Table Mountain offers spectacular views of a city blessed with God’s bountiful reserves. We make our way up on a rotating cable car, our unabashed admiration tinged with a thrill of adventure on viewing centuries old sun-kissed rocky terrain. Then, at Hout Bay, our charter boat awaits, this time, to take us to watch seals in their natural habitat. These fat, oily mammals are a treat to gaze at, as they dive gracefully into deep waters to source nourishment or simply sunbathe on their island with childlike glee. We end our day with every woman’s favourite companion – a luxe mall. Cavendish Square and a round of DKNY, Diane Von Furstenberg, Anya Hindmarch, Chloé, Miss Sixty and the eclectic Lulu Belle (collectible costume jewellery) later, we return to our hotel base to spend our last evening soaking in the heady aura of this incomparable holiday. The Table Bay Hotel at the Victoria & Alfred waterfront in the heart of Cape Town makes for a convenient and all-encompassing stopover when staying in the city, with panoramic views of the stunning V&A harbour, the famous Robben island and Table Mountain’s imposing grandeur. A ride up the lobby’s escalator leads to the city’s largest shopping centre that hosts a range of local and international brands for die-hard shopaholics to indulge in. One can then walk down to the harbour walk’s stream of buzzing restaurants and bars for an entertaining night out or return to the hotel’s Atlantic restaurant to relax in Michael Schumacher’s designated seat and enjoy a custom-made meal prepared by eager-to-please chefs. 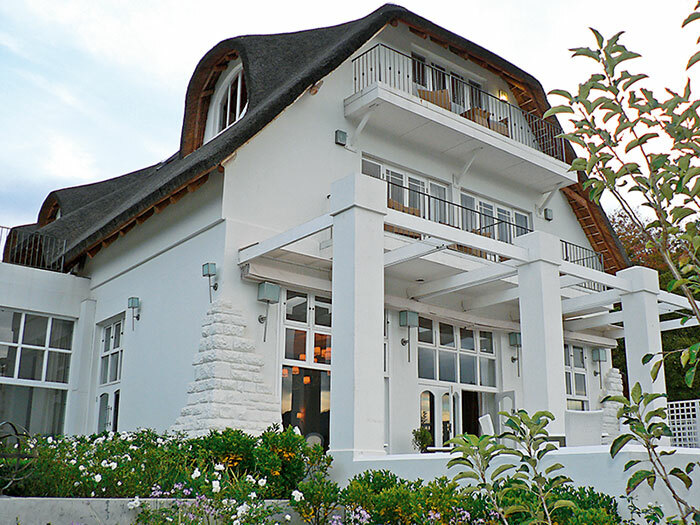 Situated at the foot of Cape Town’s majestic Table Mountain, Mount Nelson ambles along nine acres of plush grounds and a grandiose structure that houses a variety of luxe suites, heated pools, golf greens and tennis courts. Living the high life is what Mount Nelson is all about; a fact that personalities like Kate Moss, Leonardo Dicaprio, Charlize Theron and Robbie Williams greatly appreciate. Friday nights at the hotel’s Planet Bar are very popular for celeb-spotting, heady music and some unusual cocktails. The charming afternoon tea is another attraction – we nibbled on some heavenly smoked salmon sandwiches, chocolate éclairs and the country’s signature Rooibos tea with the sophisticated privileged few of the city.